Welcome to my Business Center. I am so please that you stopped by. And it is only Monday. PLUS...YOU do not have to do anything to get that money!! The sad part is.... many people believe that. Not sure WHO would really think that is the way this business works but I for one know that is a big FIB... and you will Never hear that from me. For the past 10 years I have been working on the internet...Over those years I have learned many things...I took the good along with the bad...I considered them ALL learning experices. I no longer build downline. I have found what works best for ME.. I guess you could say I am a content marketer. I have a couple of blogs... One is about Diatomaceous Earth... DE is an all natural product that is good for everyone and everything... Yes, "You Can Eat My Dirt "
I will be looking for you around this place called APSense.. if you need anything.. ASK! I can't think if anything I would rather be doing.. Can You? Cindy is the genuine article! Her engagement and feedback are always welcome and appreciated! Thanks Cindy! HOW TO INCREASE WEBSITE TRAFFIC? on "Apsense Articles" were are they? 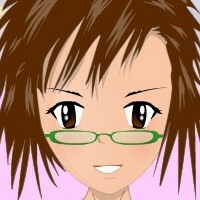 Hi Recommend Cindy Bolley, is so very helpful. Thank you Cindy . your Business Center looks great! as always the very best to you. Wonderful job! Hi Cindy remember me from the days of Veretekk, I have always liked yoyr leadership style over there and I know sticking close to you here will bare good rewards. If you are a website owner then ask Cbolly to review it.. She will really find mistakes..